Leicester City Legends, Matt Elliott and Muzzy Izzet travelled to Spain’s capital with two of the club’s most dedicated supporters prior to the Premier League champions’ clash with Atletico at the Vicente Calderon. Throughout the day, their exploits were captured via a number of Facebook Lives, broadcast via Goal’s official Facebook page. 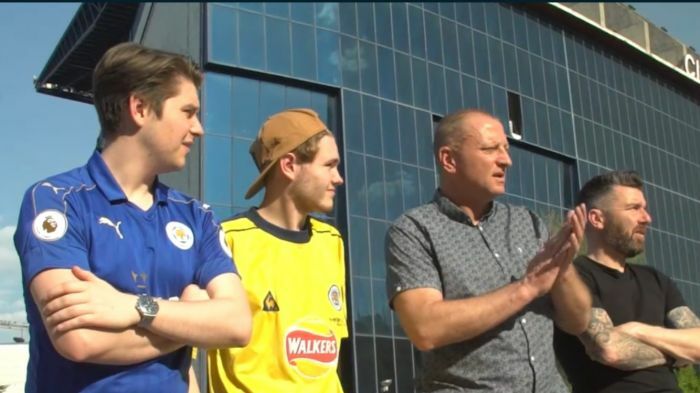 The fans and former players relived their memories of Leicester’s past, from both on and off the field, and discuss the chances of the club’s fairytale continuing with an unlikely appearance in the last four of the Champions League. An action-packed day of excitement culminated with the legends and fans having to work together for a once-in-a-lifetime chance to experience Atletico – Leicester in style, answering some tough questions to earn the boys a VIP upgrade for the match. "I'm used to being in packed stadiums watching Leicester, but this was something else. When that anthem played the hairs on my neck stood up," said Alex's brother, Joe. "The memory of that experience will live with me forever."